NVIDIA has officially slashed down the pricing on their GeForce GTX 770 graphics card by 15% to tackle AMD’s latest Radeon R9 285. The GeForce GTX 770 was introduced in May 2013 and was priced at $399 US however, the pricing was adjusted to $329 US after AMD introduced their Radeon R9 290 which offered performance on par with the GeForce GTX 780 at a sweet price point of $399 US. The GeForce GTX 770 is based on the GK104-425 core architecture which is a revised version of the GK104 core introduced on the GeForce GTX 680. The GeForce GTX 770 and GeForce GTX 760 are the only remaining cards that utilized the GK104 architecture in the GeForce 700 series lineup while other cards include the majority of GK110 variants and two GM107 variants. The GeForce GTX 770 was the first card to introduce and feature 7 GHz memory chip while majority of the specifications included 1536 cuda cores, 128 texture mapping units, 32 raster operators and 3.5 billion transistors. 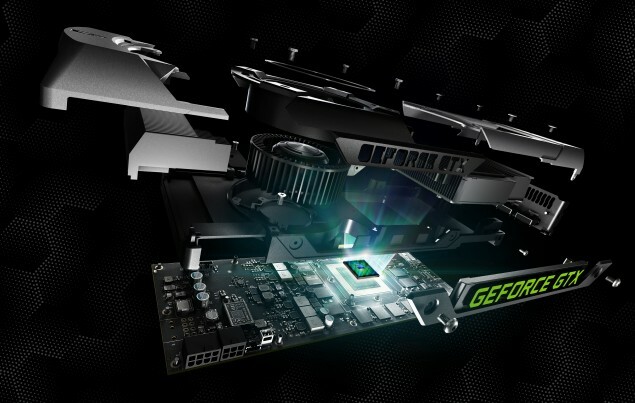 The GeForce GTX 770 also featured faster core clock of 1046 MHz core and 1085 MHz boost. The graphic card was available in both 2 GB and 4 GB VRAM variants which ran along a 256-bit wide interface. The overall specifications did result in a TDP increase from 195W to 230 (GeForce GTX 680 vs GeForce GTX 770) but it meant better performance and overclocking potential since the card did make use of a better reference PCB. NVIDIA is now aiming to give the GeForce GTX 770 an official price cut of 15% which brings the price down to $275 US. The Radeon R9 285 retails at $249 US so the card is still $25 US more expensive than the AMD card but the performance gap is little between the both. The custom variants of the GeForce GTX 770 and Radeon R9 285 will be similar in pricing since they both come in 2 GB and 4 GB flavors. The Radeon R9 285 is based on a new ASIC while the GeForce GTX 770 utilizes the revised GK114 chip. Both graphics cards are suitable for 1080P and 1440P gaming so its up to users to decide if they want to go with the green team or red. The GeForce GTX 770 has got an official price cut from NVIDIA but there are two other cards which are getting major price cuts directly from retailers. The GeForce GTX 780 Ti and GeForce GTX 780 which are the high-end cards in NVIDIA’s GeForce 700 series lineup have already started to receive price cuts from retailers. The GTX 780 officially costs $499 US but it can be found for as low as $429 US on some retail websites while the $649 US GeForce GTX 780 Ti is down to $529 US. While these cards have served about a year shelve time in the market, the main reason I can believe for the price cuts is that NVIDIA will soon introduce the Maxwell based GeForce GTX 980 and GeForce GTX 970 graphics cards at $499 US and $399 US respective prices. Even the GeForce GTX Titan Z has been slashed down to $1830 US (OEM Only) prior to the launch while the Titan Black still ships at the standard $999 US price range. Just like last time, the Titan Black would become obsolete once NVIDIA introduces a better performance card. NVIDIA has no plans to introduce a dual Maxwell chip this early but they are planning to stir up the professional market with the Tesla K80 graphics card which is a dual GK110 based card, similar to the Titan Z in terms of design. The next two weeks are going to be interesting from NVIDIA since there are a ton of announcements to be made including the 24 hour GAME 24 event which will be live streamed the entire day.